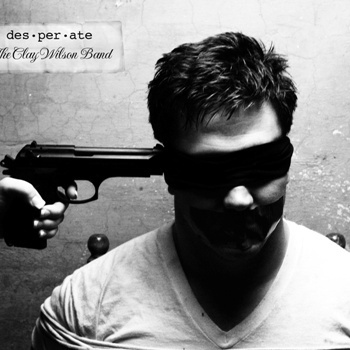 Clay Wilson recently released his debut album Desperate. The cover is an attention-grabbing piece of pop-art. The symbolism and thought process behind this cover photo is unique in the iTunes age where it is often merely an afterthought for many artists. Part of the joy of buying records used to be studying the cover and thumbing through the liner notes with a keen eye looking at who wrote what, who played on each track and where it was recorded. It’s cool to see Clay and his crew remember that. And the genius thing about it is that the attention-grabbing aspect of it translates to the computer and mobile screens of iTunes too. We have 5 autographed copies of Clay’s album to give away. 2. On the Galleywinter Facebook wall. 3. @Reply with it to the Galleywinter Twitter. Winners will be chosen by random drawing. Contest entries must be received by May 12 at 5PM. Damn. I love this. Alot. Very cool and different. Photography/design by Kim Brian. She’s phenomenal!